Prosoniq will update all their very very underestimated plugins like morph or rayverb to AU unter Intel Leopard-Macs, which is great to hear..
Prosoniq will nicht nur endlich auf AU aufspringen, sondern auch Intel und Leopardenutzer glücklich machen, diese sehr sehr unterschätzte Softwareschmiede dürfte einer der innovativsten Kleinfirmen sein seid es die ASR/EPS Sampler gab. Karlsruhe, November 24th, 2007 — Over the past months Prosoniq have been silently working on converting their existing MacOS 9/Carbon code to the new MacOS X Cocoa platform. This important transition has become necessary to provide you with new versions of their products for the 32bit and 64bit Universal Binary (Intel+PPC) flavors of Apple’s MacOS X in 2008. Aside from several new and unique products that are currently being worked on the release schedule for the second quarter 2008 includes a new version of their popular and award winning OrangeVocoder and the Prosoniq morph plug ins for the Intel and PPC Macs. More details on supported plug in formats, features and pricing will be announced at MusikMesse which is held March 12th-15th, 2008 in Frankfurt, Germany. Make sure you visit the Prosoniq stand there or check the Prosoniq web site for more details during the event. 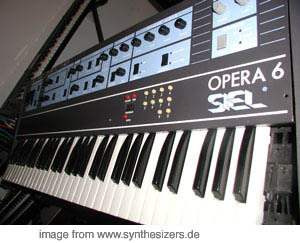 Synthesizer Tyrell wird ..! Updates..